When one of my editors asked us writers who wanted to review a shoegaze band, I had to jump on that request immediately. For some of us whose formative music years were between the late ’80s – early ’90s, we delved into the epic shoegazing sounds of bands like Slowdive and Cocteau Twins. We’d be up late on a school night, surrounded by NME magazines, headphones on, listening to the pedal-driven guitar sounds and emotional lyrics that are so meaningful to an impressionable young adult. 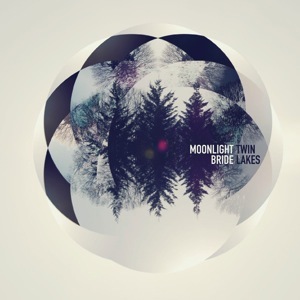 Moonlight Bride brings you back to those fits of teenage poetic madness. The Twin Lakes EP is produced by John Goodmanson (Los Campesinos!) and he captured the essence of the band’s sound wonderfully. “Diego” starts off the EP with a slow, downward tempo that picks up with the single “Lemonade.” “Versinthe” and “Drug Crimes” have that old school distorted yet melodic guitar that takes me back to the Verve’s debut album. The last track, “And The Death Ship Had A New Captain” gives us hypnotic drum beats, a catchy bass line, and sea chanty-esque vocals. I found myself putting Twin Lakes EP on repeat, letting it soak into the part of my heart that still feels like a misunderstood teenager.